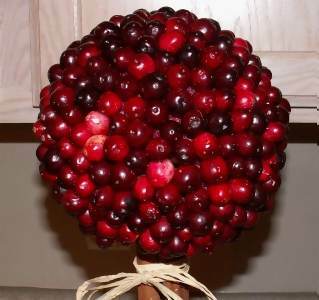 You can create beautiful holiday centerpieces using fun holiday items such as cranberries. 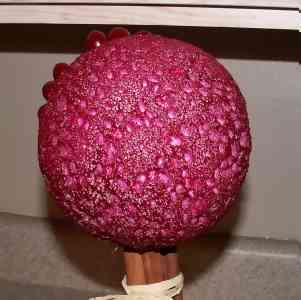 A cranberry topiary can add a festive touch to any holiday party, Christmas get together or baby shower. This centerpiece is easy to make but does take a little time to put together. Start your holiday centerpiece project by adding a little filler weight to the bottom of your pot or container the topiary will be sitting in. If there is not enough weight holding up your topiary, it will be top heavy. I like to use glass beads, but you can use anything that will add enough weight to it. Use a knife to shave down the sides of the craft block so it fits in your pot. Leave about a 1/2 inch of space between the top of your craft block and the lip of your container. 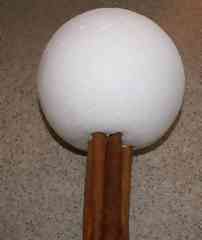 Using a dowel rod or knife, create a hole half way deep into both of your craft ball and block. This is where your cinnamon sticks will sit. Push your cinnamon sticks into the craft ball and use your glue gun to secure them in place. Once that is dry, push the other end of your cinnamon sticks into the craft block and secure in place with your glue gun. 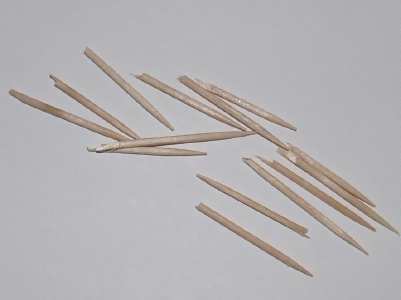 Break your toothpicks in half. 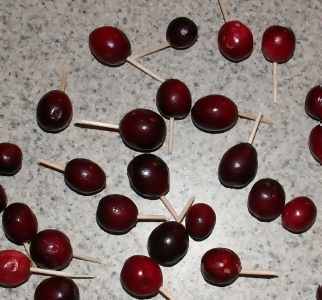 Push the pointed side of the toothpick into the bottom of each cranberry. Starting at the top of your craft ball, push the cranberries into the Styrofoam. Work in a downward motion, trying to get the cranberries placed as closely as possible to each other. This is what your cranberry topiary should look like when finished. Cover the top of your container with Spanish moss. Add decorative ribbon if desired. Use a thimble to push in any toothpicks that poke through the cranberry. It will save your thumbs! Make your cranberry topiary a day or two before the party to ensure that the cranberries are still in good shape. 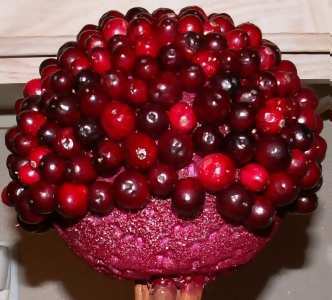 If they start to soften, you can pull out the bad cranberries and replace them to keep your centerpiece looking fresh. Good Luck With Your Cranberry Centerpiece!